Naruto is tormented and taunted by everyone in the village. Growing up, he's with Team 7 and wishes for more than he can bare. If Naruto decides to take the wrong path.. what will happen to his comerades? The mission to bring Sasuke back was a success and everyone went back to normal since their Sasuke was back. Naruto felt the need to talk to his old sensei, iruka sensei. When Naruto meets his old sensei after the classroom was empty he went up to iruka and asked him a question he would never forget. Naruto fanfic i do not own naruto. After a beating one night the third hokage told naruto something that changed his life. There emotions give them life, this is heart. There power drives them, this is soul. They think and make desicions, this is mind. How they move and work, this is body. By working all of these together that is the difference between a human and a demon, but how long can naruto keep this up. To be left... To be insult... To be alone.. This is a story about Naruto when he was a kid and no one care enough to look and see that he wasn't a happy go lucky kid. A story about a who wants someone anyone to show him something other then hate from the villagers. Will someone show him love or will he become the demon the village thinks he is? He dose have another choice he could run, but will he leave before the village breaks him? What would happen if Naruto met Kurama before the Academy? How would his life change from then on? 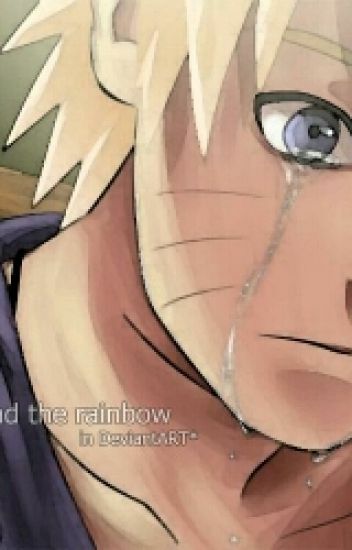 Naruto is depressed and needs someone's love before he goes past saving. Who will this person or people be? Read to find out. The Secret Behind The Mask. You think you know Naruto? The goofy, idiot and always happy Baka? Wrong! I do not own Naruto even if i want to. Naruto goes on a mission with team 7 and to their surprise he doesn't talk most of the time only when necessary.